We are active both nationally and internationally in advocating for Vietnam’s many endangered and vulnerable species. Our aim is to increase the protection of wildlife species and contribute to national and international conservation efforts. We work directly with all levels of government in Vietnam on wildlife conservation matters in Vietnam. We also collaborate on international campaigns on matters relating to our focus species, particularly critically endangered pangolins. The illegal wildlife trade is devastating Vietnam’s wildlife. The issues are complex and intimate local knowledge, solid evidence and a long term view are required. We are active in arguing for necessary changes in law to achieve better conservation outcomes, advising on improvements to confiscation and release procedures that support the rehabilitation and release of our focus (and other) species and working with the public through awareness raising campaigns. 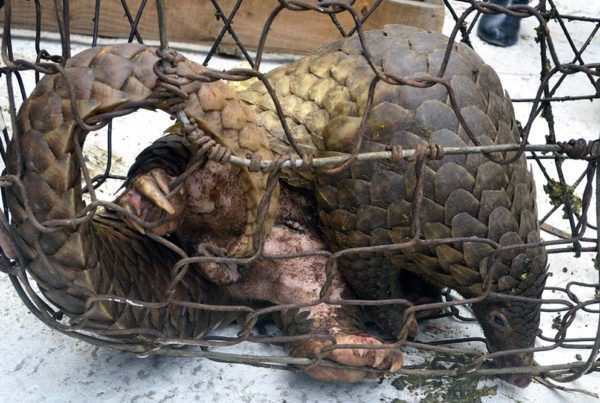 Save Vietnam’s Wildlife contributed to the successful transfer of all 8 pangolin species CITES Appendix I, which makes the international trade of pangolins and pangolin scale illegal. Now we are working on stopping commercial pangolin farming. In the video, SVW’s director Thai explains why. We also have roles in the IUCN/SSC Pangolin Specialist Group, and are part of the editorial team for Small Carnivore Conservation. This is the peer-reviewed journal of the IUCN/SSC Small Carnivore Specialist Group. In 2014, Save Vietnam’s Wildlife succeed in working with the Vietnamese government to remove pangolin scales from the list of items covered by health insurance. We are taking a leading role in the development of a national action plan for pangolin conservation in Vietnam. Beginning 2018, the Ministry of Environment and Natural Resources held the final meeting to identify endangered, precious and rare species prioritized for protection by Vietnamese law: Decree 160. We successfully submitted a proposal for the introduction of three species: Owston’s Palm Civet; Large-spotted Civet; Spotted Linsang.